When on August 14, 1947, the Pakistani nation achieved the freedom from the British colonial subjugation; it inherited a history of neo-colonial systems of thinking and governance. Ironically, the national freedom movement was the outcome of a long democratic process offering ample opportunities to a progressive future-making goal. But with the death of Mohammad Ali Jinnah- Quaid-e-Azam and the conspiratorial killing of its first Prime Minister Liaquat Ali Khan, all optimism for the enhancement of a progressive nation was wiped out by subsequent political intrigues, factional identities and military coups. Most proactive imaginative minds could not foresee how a newly born nation lacking planned resources will emerge in the changing fortunes of time to cope with swift economic, political, security and national unity affairs. Despite the foreign propaganda and challenges from its arch enemy India, the Pakistani nation demonstrated the unity of mind and sacrifices to come out of the initial trial period with immense success and unthinkable triumph. The masses had listened to Mohammad Ali Jinnah and his reasoning to work and work hard for unity, discipline and freedom. Quaid-E-Azam was a leader of vision and integrity and all factions of the nation regard him with respect and honor for his contributions towards the making of Pakistan. For over half of a century, the Pakistani nation has been a victim of its egoistic, naïve and corrupt leadership. The individualistic military coups were one of the major factors involved in this junk history-making. 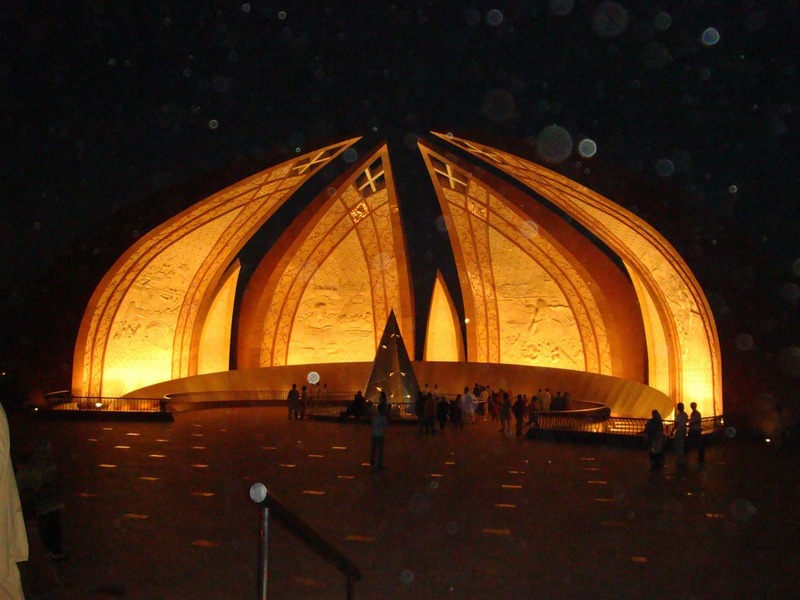 Resulting abhorrent affairs consumed the positive energies of the Pakistani thinking hubs and educated elite in a struggle to restore political normalcy, the objectivity of the ideals of the Pakistan Freedom Movement and the pursuit of change and development of a progressive nation to stand amongst the developed nations of the 21st-century world. 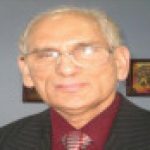 Alas, the corrupt leadership of the few Generals, Bhutoos, Sharifs, Zardari and Musharaf has plagued the political culture with sadistic thinking and moral and intellectual corruption where political correctness appears hard to reemerge in the foreseeable future unless a revolutionary jolt could change the course of monstrous politics. This vicious culture of over 50 years of corrupt politics does not facilitate the feelings of joy and moral and intellectual inspiration to visit the spirit of celebratory festivities of 70 years of national freedom. It demands a critical rethinking and truthful reflection of a navigational change and new strategies to reform the obsolete systems of political governance and planned scheme of future-making with unity, optimism and new educated and honest leadership. These so-called leaders have stolen the time and opportunities to create a pathological picture of disorientation, a naïve culture of corruption and depressing fantasies of change to flourish. It was depicted recently when the ex-PM Sharif was disqualified by the Supreme Court on financial corruption, but the paid agents demonstrated a different culture of anti-law and anti-moral and intellectual rethinking. None of these leaders share a clean record of obligations, deeds and honesty extended to their office or preferred cause of nation-building. They have proven to be mentally and morally misfit to have held the offices for a long period of time. Yet, they could not learn to be honest, responsible and effective leaders to represent the national interest of the beleaguered nation. If they had subscribed to the joys of the wanton destructiveness of the national unity and discipline, for sure, they were on that track of sadistic cruelty and priorities. The reality and optimism demand urgent rethinking on how to change the inner struggle of consciousness and to develop the course of a progressive nation-building and economically and politically viable future-making? The Pakistani Nation is One in its Unity and its multicultural identities and values must be organized peacefully to cope with the challenges of the contemporary world while rejecting extremism and phony terrorism of the few who lack imagination and respect across the national spectrum. Undeniably, the national security is fast becoming a domain of insecurity with daily sectarian killings and terrorist attacks by the Talibans and some extremist Islamic groups often unable to have a clear identity and purpose. The common masses are the net victims of these atrocities. The national image, normalcy, movement of the people, economic productivity and political stability are all adversely impacted. The masses show nourished unconscious fear and collapse of systematic security apparatus working for the safety and protection of life in Pakistan. If there was responsible political governance intact, it should have taken urgent corrective actions to remedy the national insecurity and to assure the public of its rightful needs. Pakistan has the capacity both in knowledge and essential devices to ensure the safety of its people. Is it all about the corrupt politics that the nation is suffering or there is more into the making of the insecurity bubble? Often crisis brings the minds and hearts of the people to the unity of determination. One wonders, why is it that the Pakistani nation has been abandoned by its ruling elite to be safe and secure? For sure, the contemporary politicians appear to have no sense of living consciousness and guilt to be held accountable for their drudgery, broken promises and dishonesty to the masses. Rationality and truth have its own language. Everywhere blame game is used by the corrupt politicians to cover up their cruel impulses. The insane egoism does not recognize its own incompetence, criminality and failure. Across the nation, agonizing situations warrant urgent attention to deal with insecurity, conflict prevention and conflict management, Pakistani Taliban’s terrorism, problems in responsible governance, disdain trade and commerce and to revitalize sustainable national unity. The dismissed PM Sharif and his colleagues amassed wealth, stolen time and opportunities for political change and killed peaceful civilian demonstrators. They react like paranoid and maniacs as if masses are the problem. If conscientious Pakistanis living abroad are concerned about the decadent political culture and rebuilding of the moral, intellectual and economic-political infrastructures, the ruling elite will ensure to deprive them the opportunity to be heard at a national level. When people are forced to live in political darkness, they lose the sense of rational direction. The military dictators, Bhuttos, Zardari and Sharifs could never have come into power unless the whole nation had lost the sense of rationality, PURPOSE and MEANING of its existence. These sadistic and cruel monsters have institutionalized chaos and fear, demoralization of a moral society and dehumanization of an intelligent nation and have transferred these naïve traits and values to the psychological-social-economic and political spheres of the mainstream thinking hub of the nation. Why should we care – many will assert at the cultural levels. Are there any concerned thinkers, intellectuals and proactive political activists to safeguard the national interests of the present and future generations of Muslim Pakistan? Previous articleThe Campaign from Hell: Blame Barbara Walters!